Crunchy. Smooth. Natural. Chocolate. Reduced Fat. Who knew there were so many different types of peanut butter? Sometimes I buy the store brand of peanut butter, but most of the time I buy natural, fresh ground peanut butter from the bulk section of my local WInco. It is just roasted peanuts ground fresh right there by a machine. I pay by the pound, and it’s only a couple cents more per ounce than the store brand. It’s a nice way to cut back on some added sugar in our family’s diet. After a snack I made for the kids, I had some extra peanuts left over. 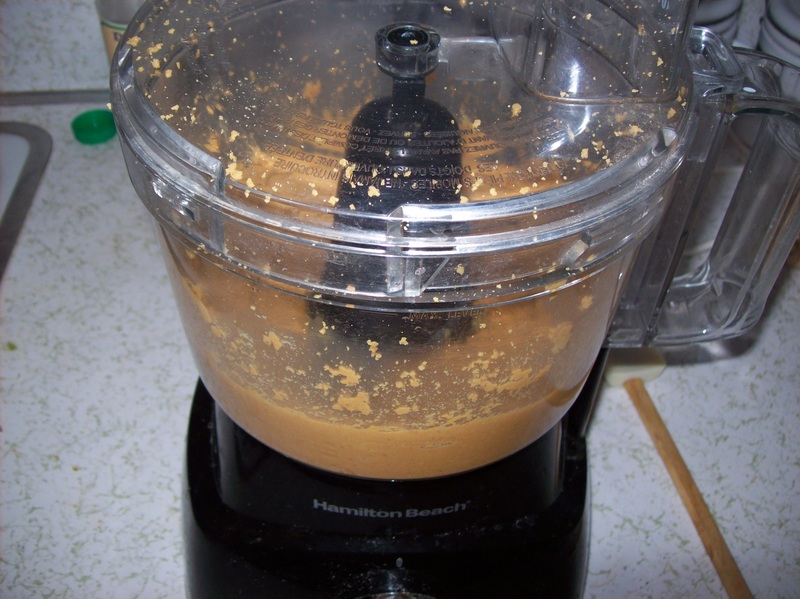 I thought: why not try making my own peanut butter? 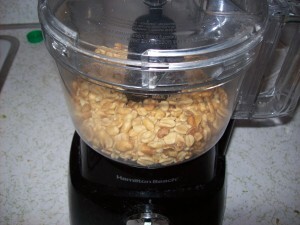 I did some online searching and found all I had to do was roast the peanuts, then put them in the food processor. I put the peanuts on a cookie sheet and tried roasting them at 350 in the oven. Soon , however, they went from golden brown to dark brown, or even black. As usual, I had overcooked what I had put in the oven. 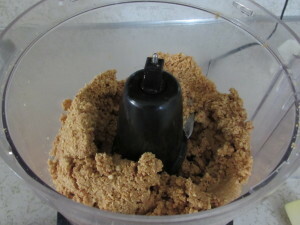 Since some of them were black, I assumed that they were roasted enough and put all the peanuts in the food processor. 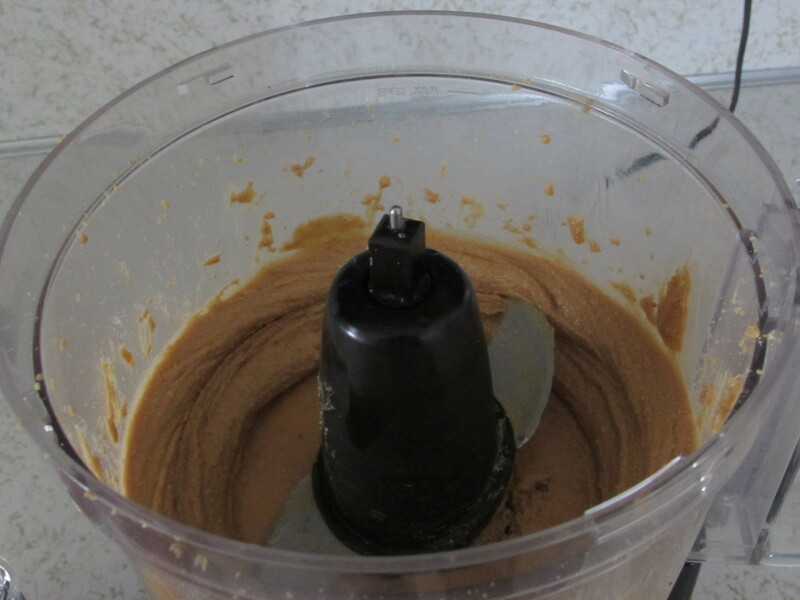 I don’t remember how long I pulsed or tried mixing the peanuts, but soon I had a beautiful black mess of goo. It looked like I had made brown play dough (PJ had thought I had made chocolate). I took a taste, and all I tasted was burnt. I put some honey in – a lot, actually, –and it became edible. However, I had to put honey in each day I wanted to use it to keep it edible. It was like whatever honey I had put in evaporated. Finally I just combined it with some peanut butter I already had the store. After that, I put the thought of homemade peanut butter out of my mind. Since I have started making more things at home, however, the thought of homemade peanut butter was begging for another try. I found out the peanuts I had originally bought were already roasted, and this explained a lot of what I had done wrong. I bought some more of the roasted peanuts and decided to give it another go. I did some more online searching, and was in disbelief. Could peanut butter really be so simple as I was reading? I was determined to find out. I put about 2 cups of the roasted peanuts into my food processor, and turned it on. then magically became peanut butter. I did stop it every now and then to push the peanut butter off the sides, but all I had to do was mix it until it was at the consistency I wanted! 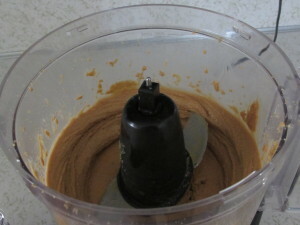 I did a couple batches and soon had a jar full of peanut butter that had literally poured out of my food processor bowl. Not only was it very creamy, but it tasted wonderful! I couldn’t stop eating it. I put the jar in the fridge to help keep it fresh. I’ve been using it with bananas as a post-workout snack, and I don’t have to worry about added sugar. We’ve been using it on our peanut butter and jelly sandwiches, and the kids love it. Maybe some day I’ll be brave enough to try roasting my own peanuts again, but for now I am happy with this success that I have found. 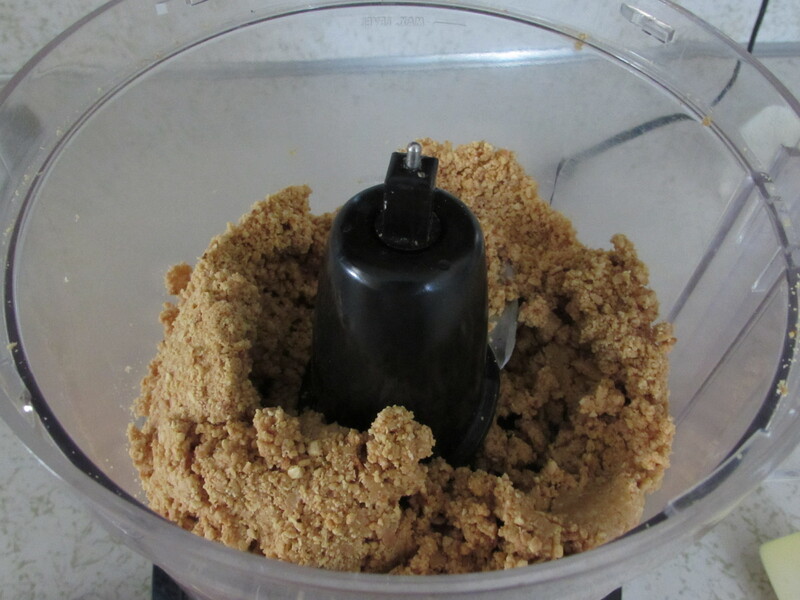 So buy some roasted peanuts (or try roasting your own), throw them in your food processor/blender, and you’ll soon have a fresh, delicious batch of homemade peanut butter that you made yourself! Great post! 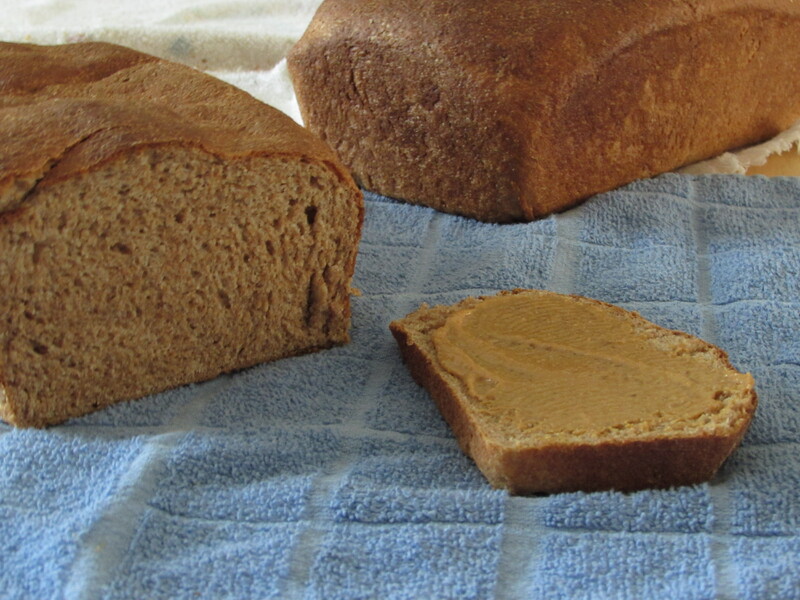 Love homemade peanut butter. It’s so much tastier! Sharing this on Food & Fitness Friday on my site this week!